A simple visit from a friend from the states became epic. We met when our children were in pre-school/nursery. About 3 1/2 years ago they moved to Seattle. Finally they were able to come back as a family and while ours was away all week, we managed to overlap by one full day and they came over. I was eager to have his impression of the Amrut Naarangi before we ate so that was our first pour. This was followed by Lot 40 CS from this year's release. He really enjoyed it so I gave him one of last year's to take home. During this dram I was called upon to BBQ Korean Kal-Bi and steaks, and we finished that one upstairs. After dinner it was back to what my wife refers to as the "drinking room" where we tried Caol Ila 17 YO CS ("unpeated") as a prelude to my G&M CS IB (full peat, 60.5%), and of course, the story of how I came by both expressions (thanks again @astroke). Then it was upstairs for dessert, a Guinness cake (recipe courtesy @fiddich1980). And since we had time afterward, we finished off with Lagavulin 12 YO CS (2015). All the drams were great tonight. The conversation never stopped - and the vibe was as if he (they) had never been away. This was an epic afternoon and evening in every sense of the word! 3 months ago 7Who liked this? I've successfully recovered from breaking-in my nephew's highly functional new bar. The installation was completed a few days before Christmas and he was eagerly anticipating an opportunity to give it a test drive. 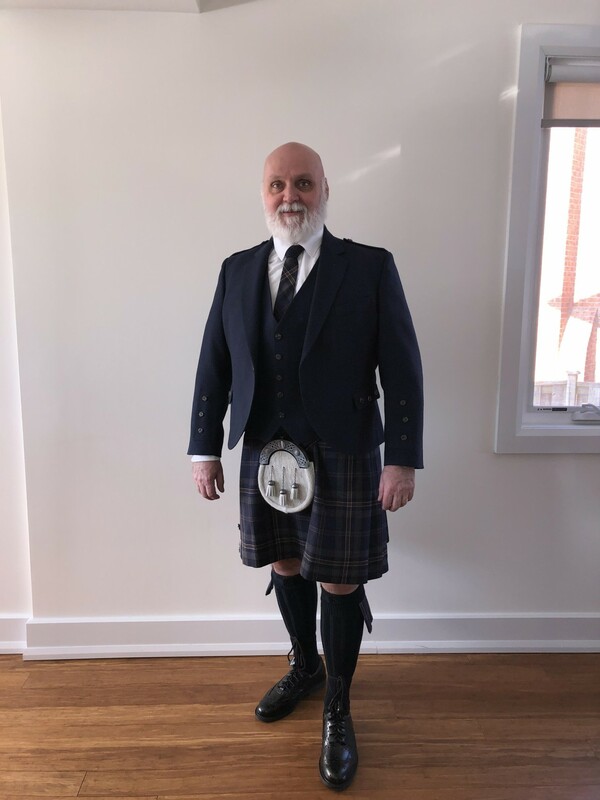 What did we need to accomplish this monumental task?...A bartender, from the oldest bar in Canada, predating Confederation; a fireman to monitor hazmat offerings, our gracious host in his stylish new digs, and uncle paddockjudge's traveling whisky circus. We managed to knock back (to the best of my recollection) 29 different expressions and a delicious porchetta roast (spiced pork shoulder) with dark rye bread, apropos indeed. It was a seven hour fun-filled episode followed by a cleverly planned taxi ride home. Lineup is in pic below....yeah, we hit the speed bump about seven from the bottom of the list. Cheers! 3 months ago 8Who liked this? @Nozinan those are the best meetings, where regardless of how long it's been the conversation picks up as if it was yesterday. @paddockjudge damn! You mentionned this upcoming meeting I had no idea it would be this epic. @paddockjudge You are the KING! It's been a crazy month but I was holding on with the knowledge that I would have the first week of January off. It started off in style, with a pretty epic tasting/supper with @Robert99, it had been a while since we'd hung out and so had a lot to talk about and the drams were epic. We started with - The 323521 blend courtesy of @paddockjudge: Robert's comment after sampling was "you're starting this session off strong"
-Old Potrero 18th Century Rye Essay:10-RW-ARM-3%5FS : Unlike anything I've had before. -Lot 40 Cask Strength 2018: Open 2 weeks and just fantastic oak and spices. -We had a break with a few blends Robert brought made from Campbeltown loch, Westland peated and another with Clynelish included. A fun experiment. -Ardbeg Perpetuum: Robert remarked it is the closest to 2011 era Ardbeg 10, I could not confirm but found it well executed. -Bunnahabhain Moine Oloroso mature Feis Ile 2018: A fantastic way to finish the night, rich deep sherry with a mineral and maritime bent, the peat is present but in control. We didn't reach the same heights as the judge but we did pretty well. @cricklewood, @Robert99, that is one heck of a lineup and hopefully worth repeating when I show up for a session in Montreal. @paddockjudge, we will make it epic when you do! 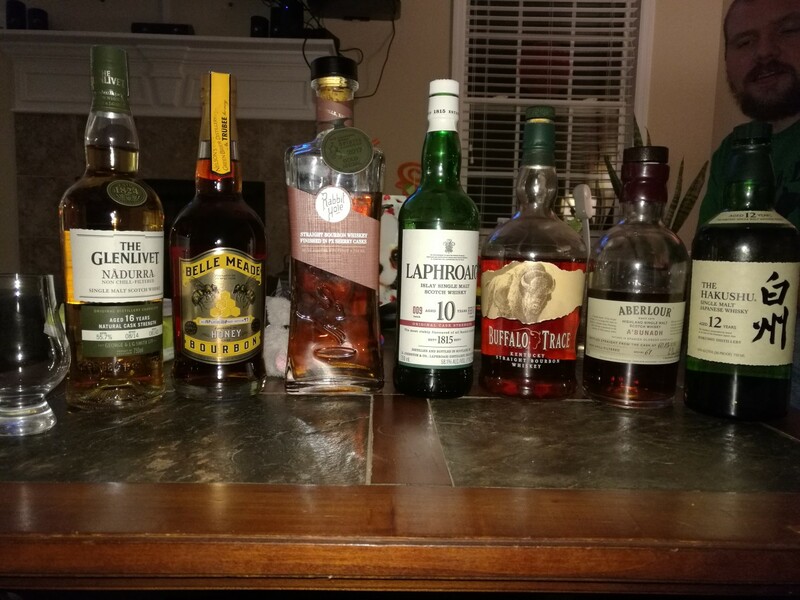 excellent whiskies with a few friends tonight. 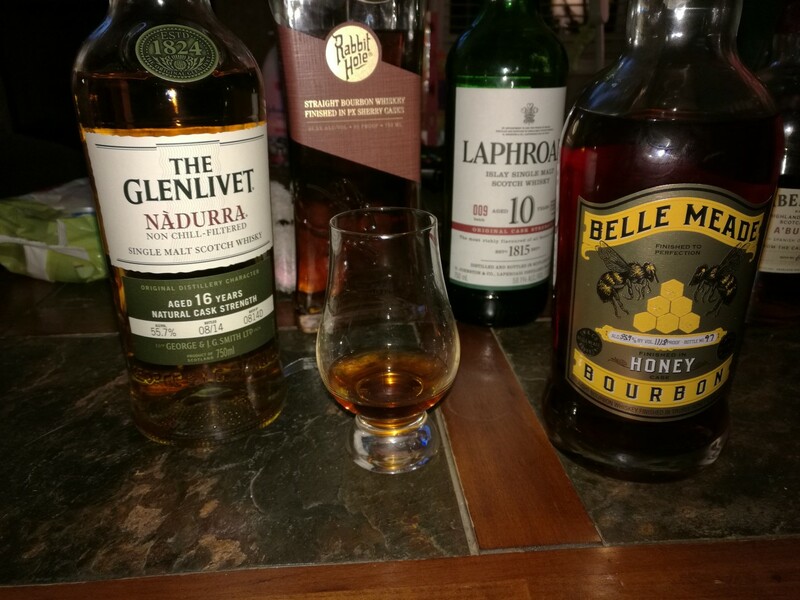 Belle Meade honey cask/cask strength bourbon #97/249. @casualtorture sweet line-up. I've heard of that honey bourbon, it was finished in casks that held honey right? How was it? I'm also curious about the Rabbit Hole whisky as well. @casualtorture I’m also very curious about those two. @cricklewood @Robert99 yes, the honey bourbon was finished in barrels that held a 'craft' honey. Truebee is the brand. It's not flavored with honey flavoring or anything. It was delightful. Honey was very subtle and complimented chocolate notes among others. It was a distillery only release and just one barrel. The Belle Meade special releases have been outstanding! Especially the Black Belle. The rabbit hole was very drinkable. Smooth, you could say. Sherry definately came though and was nice. It almost drank like a delicate sherried scotch but even sweeter if you can imagine. The bourbon/American whisky releases have been nuts the last few years, so much new stuff coming out, I have my eye on New Riff as well, heard a lot of good stuff and a strong statement starting with a bottle in Bond bourbon as their first release. @cricklewood, I've tasted several of those Belle Meade Bourbons. It is a good brand and a good addition to the bourbon repertoire. There are so many new US whisk(e)ys that it seems to me just silly to even feign trying to keep up with all of them. It would require a full-time job like Jim Murray's to begin to have a chance at keeping current with all of the new stuff coming out. True for products from Scotland, true for products from Ireland, true for products from Canada, even more true for products from the US. Getting set up for an Epic Tasting. about one month ago 8Who liked this? @OdysseusUnbound You were sorely missed! @talexander It’s probably for the best...being a true French Canadian, I get louder the more I drink. At least this way, other people got to talk and hear each other without me talking over everyone. But I really do want to do a real life meet-up one of these days. @OdysseusUnbound All of the French-speakers who were present (including the one above fully decked out) were on our best behaviour and we drank as much as the Anglais. about one month ago 7Who liked this? Thanks again to @Nozinan and his family for having me, was a great night which I enjoyed a great deal. While some may have taken note of the leasuirely pace at which the drams were poured. It was another epic evening indeed. Much thanks to @Nozinan and his family for putting up with us. I particularly liked the variety of the subjects discussed, all while returning to whisky. about one month ago 6Who liked this? On February 22, 2014, I did something for the first time. I met in person with someone I had “met” on Connosr. At that meeting @Paddockjudge and I completed a trade (my first whisky trade). We both did our best independently to ensure the other got a fair deal. Although some samples and minis were exchanged, the main focus of the exchange was a bottle of Forty Creek John’s Private Cask #1 from me and Macallan CS from him. This small transaction 5 years ago led me to locate some Mac CS in Alberta, most of which went to @paddockjudge. It has resulted in the development of a whisky pipeline and hunting network that would make the oil producers in Alberta green with envy. Most of all, it led to a solid friendship. This is not a unique occurrence. Many friendships have grown from the roots of Connosr. People who share an interest in whisky, who would otherwise never have met. With the common interest as a catalyst, friendships grow beyond simply alcoholic intake. When you think about how difficult it is to meet new people after you leave school and settle into a life(style), this platform is truly remarkable. To celebrate these 5 years, I organized a tasting at my home. My hope was that the whisky would take second place to the company, and requested that we limit the number of whiskies we each present (with some success). 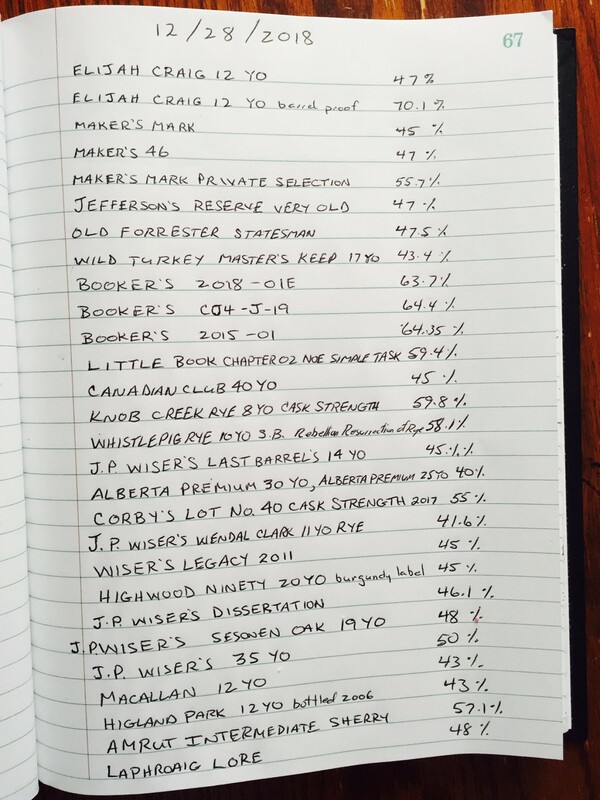 In comparison, at my tasting in November we had 25 different whiskies and this time we had 15. For those who stayed for the whole thing, we averaged 1.5 (small for the most part) pours per hour. Sticky toffee cake made by my wife and complemented by home-made caramel sauce adulterated with Knob Creek Single Barrel bourbon. And, did I mention we also had whisky? Before everyone arrived, I poured a small pour of Macallan CS from the original bottle that started it all for me and for @paddockjudge to celebrate our anniversary. While we waited for everyone to show up (and when they did they were able to “catch up”, we tasted from @paddockjudge’s Macnadroig, a home blend of Mac CS, Nadurra 16, and Laphroaig Lore. Kavalan Solist (KavaFAN) Single cask Oloroso 2018 bottling. This one, courtesy @Astroke, had dark fruit notes I had only found in Mac CS previously. @Paddockjudge magically produced some of this rare elixir for comparison. At this point a challenge was raised. Would Wiser’s Legacy at 45% be able to hold up after a CS Bunna? The answer….Yes indeed. @paddockjudge was about to crack the bottle recently delivered from Alberta, but I saved him the trouble as I had one open. Finally we ended with a real bang. An explosion of flavour as @Cricklewood was kind enough to open one of his “holy grail” whiskies, Octomore 7.3, 5 YO flavour bomb bottled at 63% with 169 ppm peat. @Fiddich1980 aptly described the sensation of “spicy poprocks”. This tasting was EPIC in so many ways. Everyone brought something, no many things, to the table to make this one of the most enjoyable tastings ever. I thank you all, (round the table) @Astroke, @Cricklewood, @Talexander, Pam, @Fiddich1980, @Robert99 and @Paddockjudge, for your efforts to come, for your friendship, and look forward to many happy occasions in the future. about one month ago 13Who liked this? Another Epic event hosted by @Nozinan. Thank you my friend. You are a most generous host. To the Connosr Whisky Cognescenti Canadese, thank you for the great conversation, excellent whisky, and fantastic food. It wouldn't be a Connosr gathering without the traditional exchange of samples and trading of bottles, many, many, bottles. about one month ago 9Who liked this? Thanks to all of you for everything you shared: whisky, food, knowledge and lots of good stories. @Nozinan wow I was impressed after just reading about the food that was prepared and eaten - and then there was the whisky! Sounds like an excellent time together. @Nozinan and others - Looks and sounds like you all had an amazing time! Great to hear about the food and whisk(e)ys that were flowing! EPIC indeed! Sounds like a fantastic time had by all. I would be especially eager to hear opinions on the Bunnahabhain Feis Ile 2018 Mòine 59.5%. 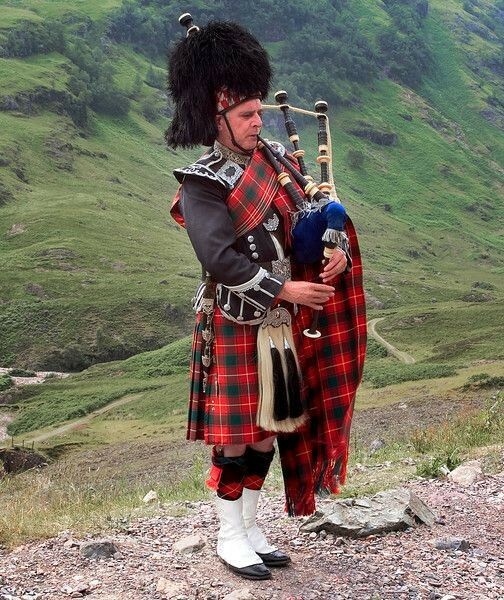 I understand it is peated . . . and heavily sherried. How well does the peat hold up?